Education is one of the biggest challenges that India faces today. 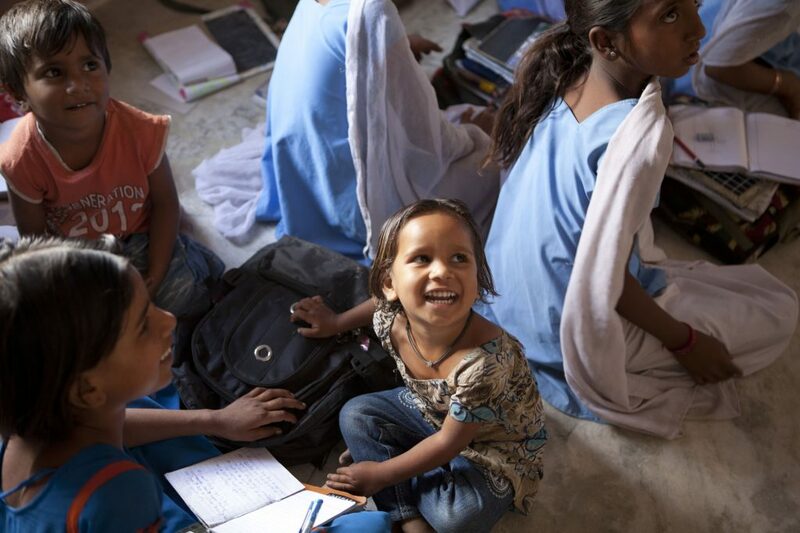 India has a massive school system with 250 million children in 1.5 million schools. Although educational outcomes in schools have worsened in the last decade.1 India to achieve its socio-economic ambitions, ensuring quality education for girls is also critical. Furthermore, the potential for growth and high returns in the education sector is spurring social ventures to build innovative models to affect widespread and lasting change. While few would disagree with scale as a solution, some questions arise: How is an organization to create impact at scale? What is a realistic timeframe for such a result? How can organizations speed up a process that has often been painfully slow? How does an organization make critical resource-decisions well? 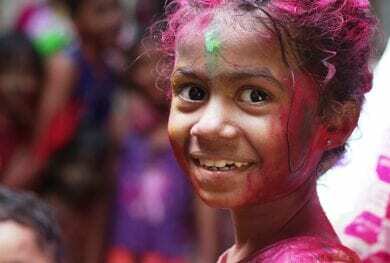 Since 2010 Dasra, a leading strategic philanthropic organization in India, has been working closely with Educate Girls (EG) to assist in the development and execution of the EG’s expansion strategy. By applying a stage-based growth trajectory framework2 (see Fig. 1), Dasra aided EG to improve program design and delivery, strengthen its model, and grow effectively. An account of EG’s journey offers valuable lessons for organizations working across diverse sectors, at different stages of growth. By harnessing the potential of impact assessment as a learning tool, EG has grown from working in 50 schools to over 8,500 schools within a decade. Upon replicating its program in other gender-gap districts of Rajasthan, EG has impacted the lives of nearly 1 million children. The effective use of assessment and measurement has enabled EG to adapt quickly, better respond to beneficiaries, demonstrate continued impact, build partnerships with the government, and attract significant resources in order to scale. In 2005, EG’s journey began in 50 of the poorest performing government schools in Rajasthan’s Pali district with a working blueprint. 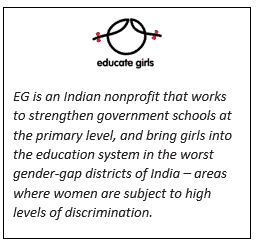 At that early stage, EG zeroed in on the need to strengthen government schools to tackle gender inequality. Therefore, partnering with the Government of Rajasthan has been critical to EG’s mission to scale. During this assessment stage, EG’s business model exposed areas that required movement; and one area was to retain girls in schools. To address this, field staff introduced creative learning techniques to further engage schools. By refining its model, EG was able to gain funding to push itself along its growth path. EG was mindful of not rushing to scale. It invested in building and empowering the on-ground workforce, and strengthened its measurement-related functions before taking on other districts. To keep pace with its efforts to scale, EG transitioned from Excel-based to mobile-phone-based data collection, data management and field staff tracking. “What you can see with your eyes when you are working in one school, you cannot when you have grown to a couple of 1,000 schools. That is where a strong measurement system comes in,” says Safeena Husain, Founder and Executive Director of Educate Girls. EG’s story is an affirmation of the importance of investing in measurement; it highlights the essential support that funders must provide to Social Purpose Organizations at different stages of growth. Dasra’s experience has clearly shown that what is most essential is mission alignment: metrics and measurement systems that are designed to support the achievement of well-defined mission objectives. To foster the education ecosystem, Dasra and EG will be engaging delegates at the AVPN India Summit 2017 workshops, “Building Capacity to Scale Impact” and “Impact and Evaluation: Linking Assessments to Learning Outcomes”. 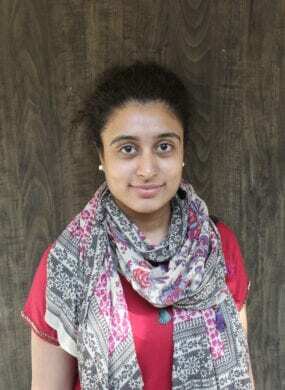 Gurpriya Singh is part of the marketing communications team at Dasra. She also works with the knowledge creation and dissemination team to build conversations and drive engagement on key issues. 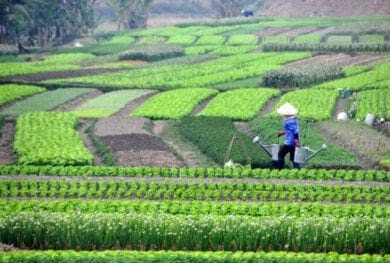 Is Social Investment the Future of Smallholder Agriculture in Asia?